KARACHI: A university in Punjab revealed itself to be the latest pyaar ka dushman. 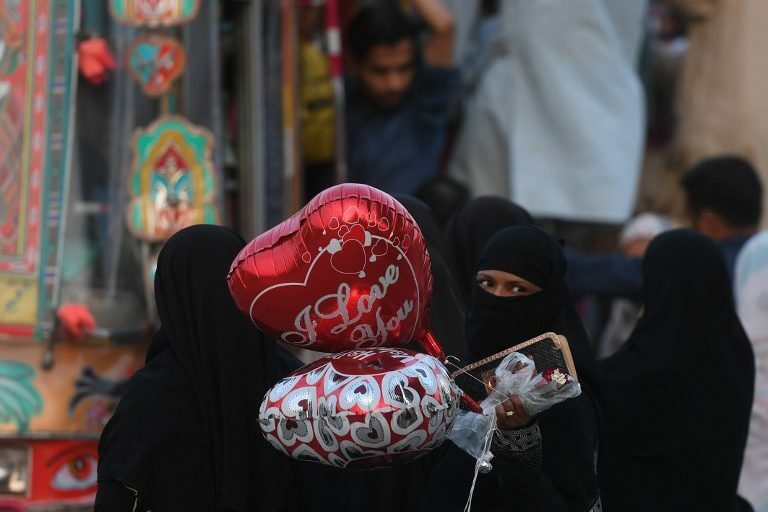 Faisalabad Agriculture University announced it would not allow its students to celebrate Valentine’s Day coming up next month. Instead, they will be observing a “Sisters’ Day”. You heard that right. The university’s vice chancellor, Dr Zafar Iqbal, said that on the day male students will give out burqas and scarves to the female students, according to Samaa Digital. The VC proudly took credit for the idea and requested “wealthy” people to donate money to buy gowns and scarves. He added that Sisters’ Day will help people realise that this is how much sisters are loved in Pakistan. Before you let that settle in, Bahria University isn’t far behind. Earlier in May 2018, the university issued a notification, demanding male and female students to keep a six-inch-long distance between each other when they are sitting or standing together. The notice was met with much amusement, resulting in some LOL-worthy memes on the internet. The latest development is about the implementation of a strict dress code for girls. “Jeans, tights, trousers, short shirts are prohibited. Any girl seen in (such clothes), will be fined Rs5,000. Proper dress code is shalwar with long shirt and dupatta is a must,” reads the notification shared on Twitter by many. So now man will decide our wardrobe? The educational institution in any society is supposed to maintain a healthy and unbiased atmosphere to their students of all genders and provide them space so they can celebrate their choices, #BahriaUniversity |WOW! Bahria University responded saying that the said dress code has been in effect since 2016. Two different cases but very similar in their meaning: about our age-old issue with women: how they should and should not dress in public. Men and boys are next to never directed to “lower their gaze and guard their modesty” when citing religious scripture and Islamic references. Further, you barely hear od a university imposing “fines” on men who engage in verbal, non-verbal and physical sexual harassment. Perhaps one way to deal with such scrutiny is with sarcasm and in-your-face-humour. They didn't think this through did they? Calling them sister will make a difference?With our high cousin marriage rate,75% of 'bhaijaans' turn into 'jaans' anyway!